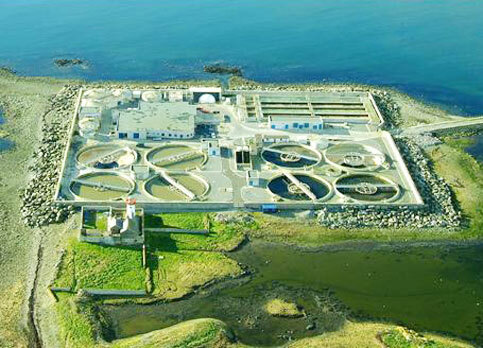 The Galway Main Drainage project involved the design and construction of a new 90,000pe secondary wastewater treatment works with sludge treament on Mutton Island in Galway Bay. Given its sensitive location the works had to be designed with a low visual impact, withstand a harsh operating environment and meet EU treatment standards. Dara White was involved in the preliminary Report, EIS, detailed design and contract documentation production when he worked with PH McCarthy and Partners.